This We Finance Message Flag is Ready to Ship! This Signage is the Ideal Outdoor Advertising Banner for Businesses. This We Finance Message Flag is Highly Visible! 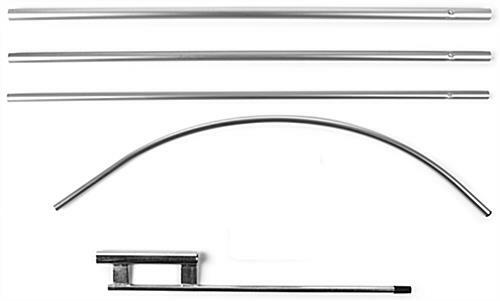 4 piece aluminum pole for low cost and portability. Pre printed on a single side with mirror image on back side (dyed through) for a highly visible display. 14' Height and red and blue color scheme for eye catching signage. 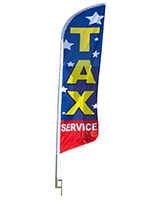 This we finance message flag that includes a ground spike is meant for outdoor use. This signage ensures that businesses can quickly get the point across to potential customers. 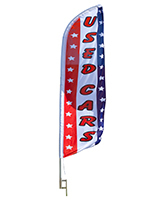 This blade banner, we finance message flag that has an aluminum pole is 14 feet tall. This display is economical for small businesses seeking higher exposure. 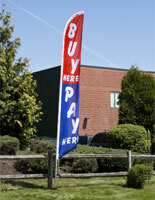 This we finance message flag that is red and blue with bold white text is a colorful eye catcher! This swooper is light and easy to transport. 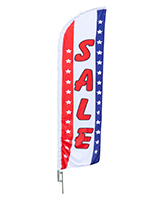 This we finance message flag can be reused in different locations with the durable metal ground spike. This display is great for car dealers! 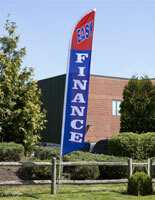 This we finance message flag has a pole sleeve to simply slide the banner onto the assembled pole. This signage does not include a nylon bag but can be easily transported. This we finance message flag is ideal when strategically positioned near the roadside to get the most exposure from passerby customers. 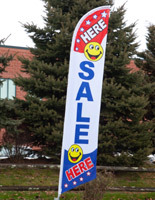 This pre-printed banner is a simple solution to outdoor promotional displays for businesses. 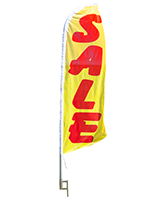 This swooper we finance message flag, also known as a feather banner, is an economical advertising tool for businesses. This display is made of a poly knit material that flutters in the wind. 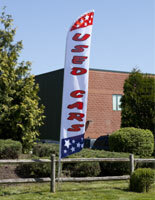 This outdoor we finance message flag has a stay open design so the banner is visible with or without wind. This signage includes an economical aluminum pole which is more affordable than comparable models using fiberglass. This we finance message flag does not include a nylon carrying bag like some of the other models yet is still easy to transport and light weight. 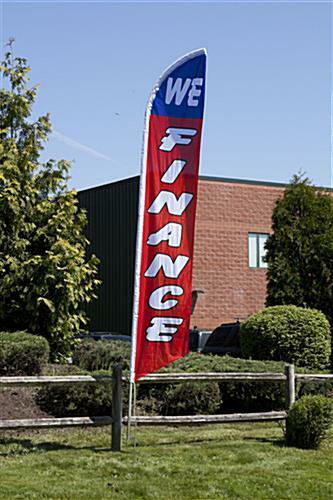 This we finance message flag gives businesses the competitive advantage in a busy marketplace.